PVC Sheet/panel from Home Depot - still available? I have been reading about a few people using PVC panels/sheets/boards to make DIY items on their boats. 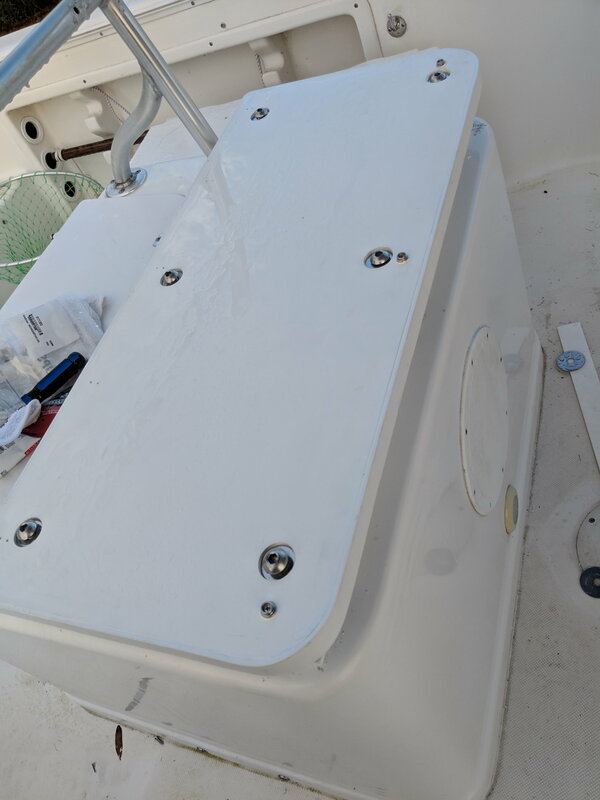 I have a few things I would like to attempt, and would prefer the cheap cost of PVC to practice on as opposed to HDPE/Starboard. However, when I went online to find it in my local store, I had no luck. I don't see sheets/panels of the 1/2", 3/4", or 1" material that I see people posting about. So, has anyone seen these panels lately? Any input on item number? I could not find them online, I just walked down the plywood isle and they were there. Could be my location, But no issues finding it at all. I'll have to go tomorrow. I've never seen it before, but havent really looked. I’ve used Azac for all my exterior trim around my pilot house and used it for the back of my colming boards. New job sites have peices of it laying around. Works great, bendable, no rot. Not all stores carry the PVC sheets. You'll just have to go in and see. The 2 closest to me don't but a custom builder supply store nearby has them. Azac is extremely easy to work with. Saws, cuts, routs and sands easily. Is it Azac or Azek? If your store doesn't stock it, you can probably order it. It's what I have to do. Relatively cheap, ~80 if I remember correctly. Our store carries it, but not in the plywood isle.it was in the isle with PT wood stair parts &things. Love Azek and use it for trim boards and decking on homes. The only problem I see is when you machine it and expose core it tends to get moldy not sure how fish blood would clean up . Starboard on the other hand does not. 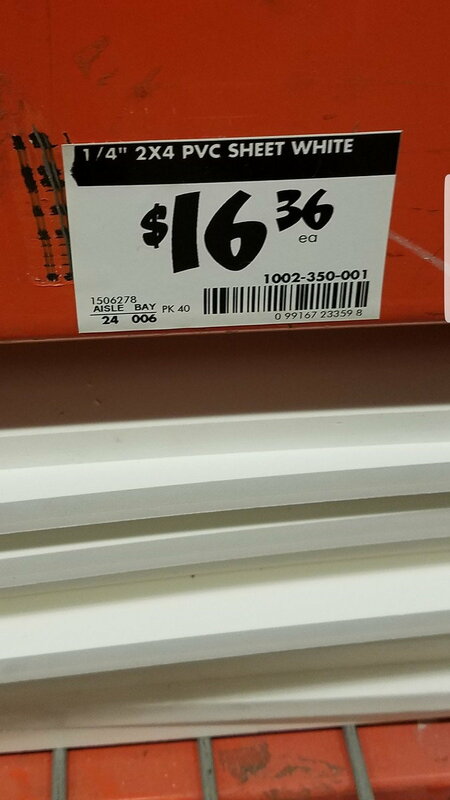 [QUOTE[img]https://www.thehulltruth.com/images/icons/icon1.gif PVC Sheet/panel from Home Depot - still available? I don't see sheets/panels of the 1/2", 3/4", or 1" material that I see people posting about. 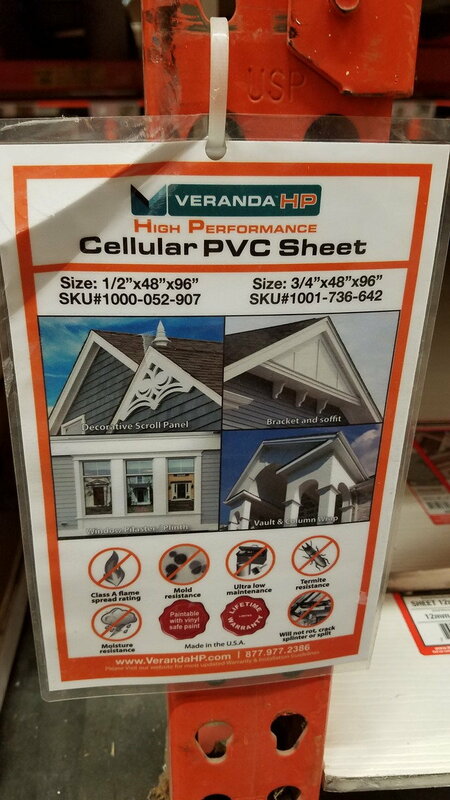 The Cellular PVC Sheet is available and my local Home Depot stocks various dimensional sizes and thicknesses. Here's a couple images showing the SKU numbers that may help you locate the material in your local area store. There are countless ways to put this material to good use. It cuts, sands and shapes with ease. PVC Sheet/panel from Home Depot - still available? [QUOTEI don't see sheets/panels of the 1/2", 3/4", or 1" material that I see people posting about. Hope this is helpful...[/QUOTE]I bough some and tried it. It is easy to work with but it doesn't hold screws good at all. How do you secure it together? I have had success using coarse thread screw fasteners, as well as PVC glue. I used screws and it holds just fine, Be carefull not to over tighten cause the screw do strip easy. Use a few extra screws for if more strength is needed. Hope this is helpful...I bought some and tried it. It is easy to work with but it doesn't hold screws good at all. How do you secure it together? I just built a seat using it. I use PVC glue and it works well. Never use impact driver for screws in it, hand tighten only. Also HD has a plethora of PVC trim profiles that are EXTREMELY handy for various tasks. It's already white and finished on all sides. Last edited by Ed455; 11-21-2018 at 05:29 PM. Any thoughts on this product for a ttop canvas replacement? It will warp in sun in a relatively unsupported application such as on a top.